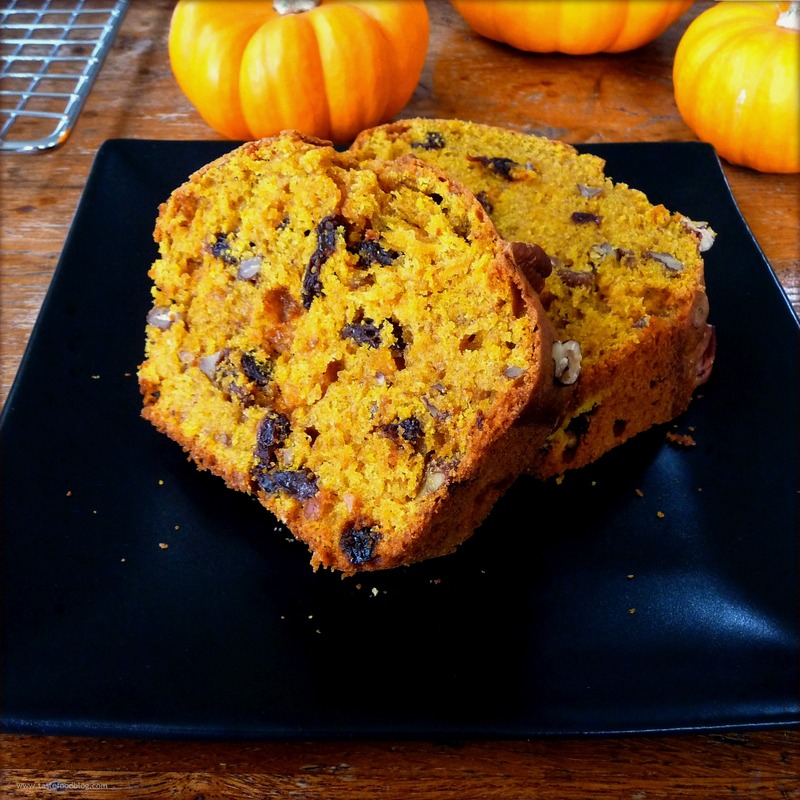 This pumpkin bread is a lightly sweet and mellow loaf, redolent with pumpkin and spice. This toothsome cake bread is studded with raisins and pecans, adding natural sweetness and heartiness to each mouthful. It’s delicious for breakfast or in the afternoon with a cup of tea. Either pumpkin or butternut squash may be used for the purée; their orange flesh will add a rich, buttery note and lend a vibrant hue that is necessary for this autumn staple. Preheat the oven to 350 F. (180 C.) Butter a loaf pan. Line the bottom with parchment and butter the parchment. Combine the flour, baking powder, salt, cinnamon, nutmeg and cloves in a medium bowl; whisk together and set aside. Whisk the brown sugar and eggs together in a large bowl. Stir in butter. Add the pumpkin and blend thoroughly. Stir in the dry ingredients. Add the raisins and pecans. Pour the batter into the prepared baking pan. Bake in oven until knife inserted in center comes clean, about 1 hour. Beautiful – extra twists from the usual pumpkin bread recipes (including mine) make this a keeper!